It’s Showtime Tawag Ng Tanghalan grand winner will be named today, Saturday, June 2, 2018. Tawag Ng Tanghalan on It’s Showtime grand champion will be revealed at the end of the Live Grand Finals “Huling Tapatan” show this afternoon at the Aliw Theater in Pasay City. 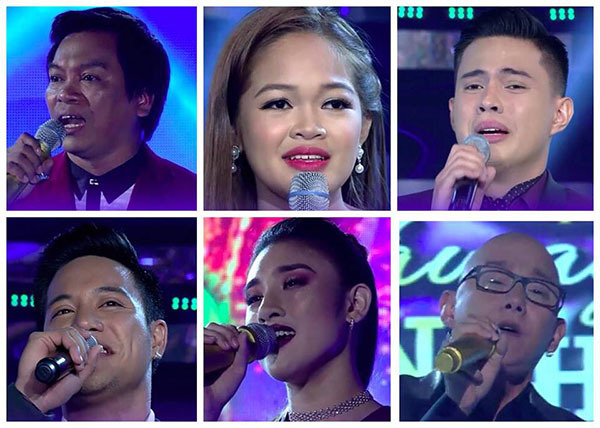 The Final Top 6 including Anton Antenorcruz from Metro Manila, Steven Pasyu from USA, Janine Berdin from Cebu, Reggie Tortugo from Leyte, Arabelle dela Cruz from Laguna and Ato Arman from Bukidnon will perform for the last time for your votes. Where to watch Tawag Ng Tanghalan Grand Finals? Tawag Ng Tanghalan Grand Finals dubbed as “Huling Tapatan” will start its broadcast at 11:30 am on ABS-CBN. The show is also available to watch via the official live streaming channel on Youtube. Who do you think will win? Anton Antenorcruz, Steven Pasyu, Janine Berdin, Reggie Tortugo, Arabelle dela Cruz or Ato Arman? Write your prediction on the comment section. Live Final recap and video will be added on this page when uploaded online, refresh page for updates.